While it’s impossible to predict the future, experts rely on current market trends to forecast what may happen this year, if present trends continue. 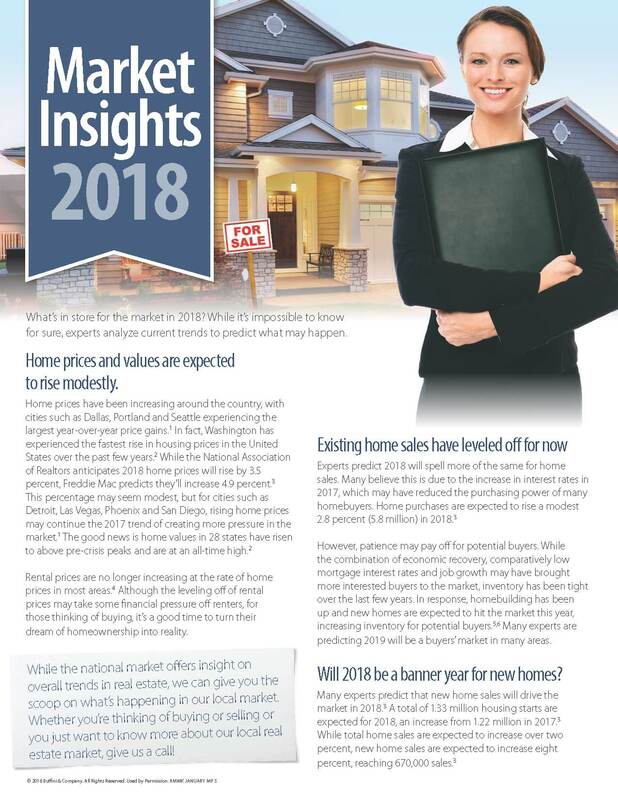 This information outlines several predictions experts have made about the national housing market in 2018, as well as a few predictions about mortgages. How do these trends stack up to trends we’ve seen in our local housing market? 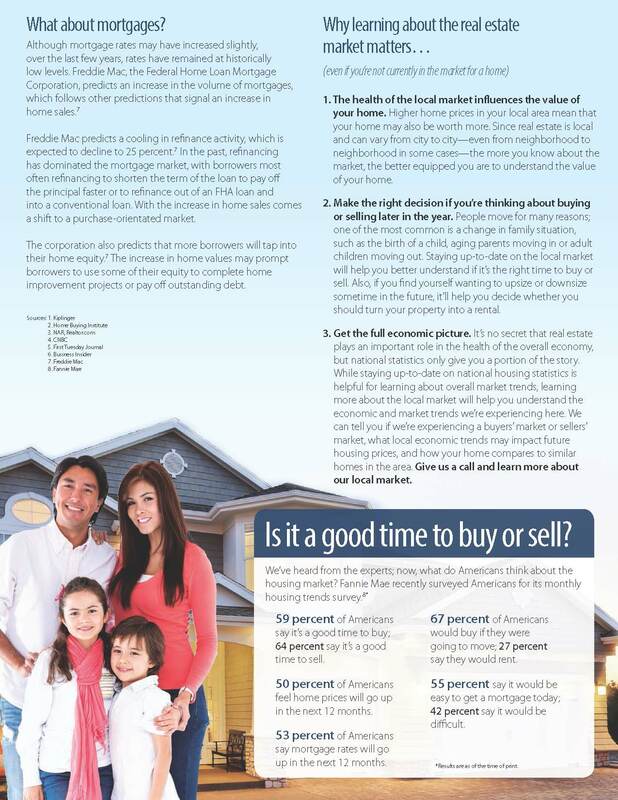 If you are thinking of buying or selling, or you just want more information about our local market, give us a call!